"Why Contemporary A Cappella Matters"
It's easy for us as Barbershoppers involved in outreach to beleive that bbs is the one, true, holy grail, and occasionally lose sight of the fact that everything that gets young people singing is good for them and for us. This post from the ACDA ChoralNet is a reminder that there are many, many fellow travellers preaching the same truth that we know: close-harmony, a cappella singing grabs singers by their ears and hearts. Six years ago, I started an a cappella group once a week after school. Our program had never done any popular music in the past. The injection of some “musical dessert” into the program was incredibly efficacious. Not only did our concert attendance drastically increase, so did our participation. The choral program has more than doubled in size in six years. It should come as no surprise to any of us that letting kids sing popular music would be, well…popular! However, what you need to know is just how effective it is at building musicianship, too. Many of the arrangements that my 12-member group OneVoice does contain eight to ten individual parts. You do the math — this means each student is responsible for an incredible amount of independent singing . . . for three to five minutes at a time . . . a cappella . . . with intricate levels of articulation, dynamic, and style. 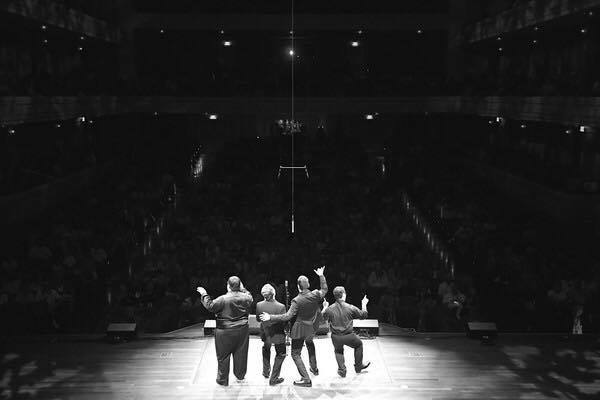 via GUEST BLOG: "Why Contemporary A Cappella Matters" by J.D. Frizzell - ChoralNet.